Rich soil that has been generously amended with fully composted manure or another high-nitrogen compost. Use raised beds in clay soil. Yes, survives winter with mulch in many climates. Cilantro, Celery, Cauliflower, Eggplant, Strawberry, Chinese Cabbage and Cabbage. Easy to grow from seeds sown in spring, one-half inch deep and 2 inches apart. Also can be started indoors and moved outside under cloches in early spring. Keep well watered. 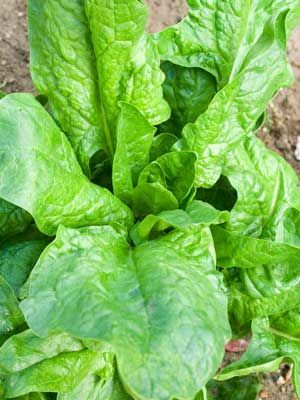 Spinach grows tall and goes to seed when days become long and hot. Grow a second crop in the fall. Pick individual leaves, or allow plants to grow into dense, leafy rosettes.